Aria Nail Lounge: First Class Service! Mobile blogging again, guys! Parang katext ko lang kayo, so cool! This time asa bus naman ako, waiting for it na mapuno. So habang tambay pa, Gusto ko nadin ishare and ikwento this fairly new nails and waxing spa I discovered sa north area. So northerners, take note! You'll love this! It's not a bird, it's not a plane (char!). Welcome to the Aria Nail Lounge--a concept nails spa with interiors resembling that of an airplane!!! :) Where kaya nila ako dadalhin? :) Hehehe. Ready for take-off! 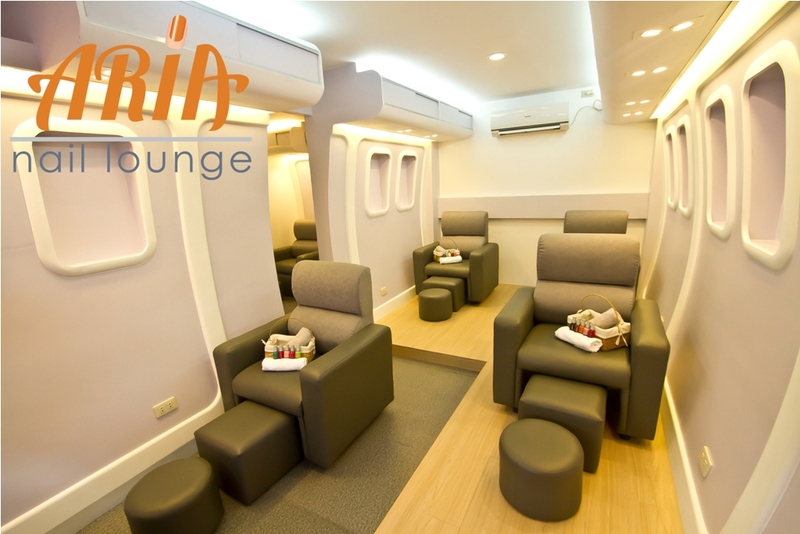 Relax in Aria Nail Lounge's cozy space with comfy "business class" seats. I love these couches! Chilling with Aria Nail Lounge's Ms. Sheryl at the First Class Cabin, before I had my services. Aria Nail Lounge's selection of nail polish includes brands like Orly, OPI, Melia, and (my new favorite) ZOYA! I tried their "Boracay Hand Spa" - more on these services / packages in a bit. Meanwhile, boredom buster! They have magazines and wifi while you're having your mani and pedi! Akala ko ata asa airplane talaga ako at naairplane mode ko telepono ko, hehehe. Grade A in terms of service, I love that people from Aria Nail Lounge are all very accommodating. Alagang alaga ako during my stay. Aside from that, magaling their nail technicians kasi I realized that even with all the Anagon wire arts I did after this manicure, no chipping of nail polish parin! Minsan asa brand lang daw yun, but in this case, I think it's asa maganda at maayos na pag aapply ng polish! First class service you can afford! And no delayed flights (hah!). I love their theme! I must go try this sometime. Thanks for featuring a northern "destination"! This is so cute!! <3 They have a very unique theme for a nail lounge! Wow ang bongga naman nito!! Must visit soon pang reward sa sobrang nakakastress na school sem hahaha. Visit us at 2/F Citiplaza 2 Commercial Complex, Tandang Sora Ave., Q.C. 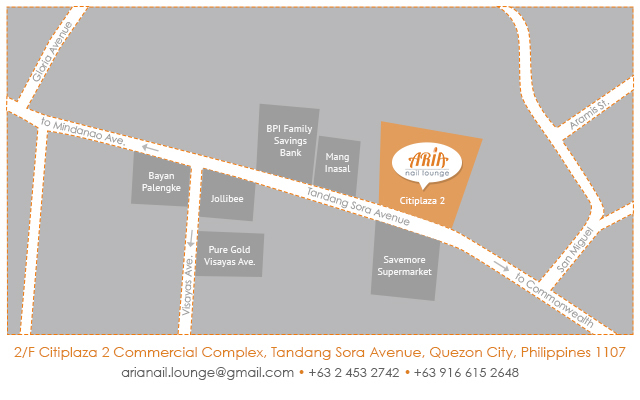 Visit us at 2/F Citiplaza 2 Commercial Complex, Tandang Sora Avenue , Q.C.